Is it possible to provision multiple Internet services over a single UFB connection? I recall reading somewhere that this was possible (for TV services etc. ), but I don't recall where I saw that comment. Assuming it can be done, is it simply a matter of asking the ISP to provision service on the second port of the ONT? This is only a short term solution, while I await more plan options from various ISPs. Unfortunately no ISP offers everything I need at present, and I need to increase my data cap. With the Bigpipe deal, it'd be cheaper to set up a second connection for two months than it would be for me to add more data to my current plan. Of course, I'm on Chorus. 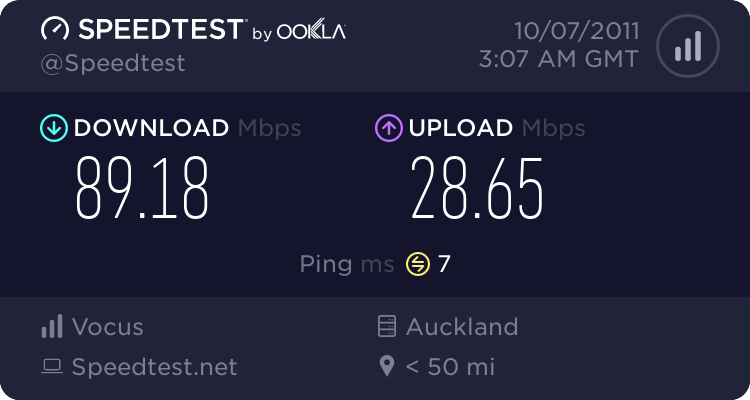 I've always overlapped services in the past, moving from dialup to ADSL, to wireless, back to ADSL and finally to fibre. I don't trust Chorus or the ISP to get things right (experience), and downtime isn't an option. No. If you want a 2nd connection a new ONT will be installed. i thought there was mention a little while back about it being setup so you can do this..
Why dont chorus support it currently? Doesnt it lead to more workload for them if they need to install a whole new ONT? hio77: Why dont chorus support it currently? Doesnt it lead to more workload for them if they need to install a whole new ONT? The second ONT presumably wouldn't be covered by government funding, so they could charge a whole lot more to do it. I decided to contact Bigpipe and enquire about their ability to provision a second port on the ONT. Apparently they are talking to Chorus about this, and hope to have something in about two weeks. They have indicated they can provide a second ONT in the meantime. I'm impressed their customer service can answer such questions outside of normal business hours. Just like all installs, we don't currently charge anything. The network has been capable of having multiple services on ONTs for some time - in fact, we have used it extensively in the lab/test circuits that we give to RSPs. The restriction has been in our ordering systems. Chorus has an upcoming change to our ordering and provisioning systems to support multiple services on an ONT. Note there are some restrictions due to additional services being different from the first service. RSPs will have all of the service information, pricing, etc already. BMarquis: Chorus has an upcoming change to our ordering and provisioning systems to support multiple services on an ONT. Note there are some restrictions due to additional services being different from the first service. RSPs will have all of the service information, pricing, etc already. Thanks for your input. I wouldn't have expected funding for unusual configurations. I did everything possible to minimise the workload for Chorus on my fibre install as it wasn't typical. Seeing what they've had to do to get my neighbours connected however, my installation looks quite trivial in comparison. Are you able to give more details on the restrictions on additional services? Pricing details would be good to know too, but I don't see ISPs making a distinction given very few people would have multiple connections. For other services, sure. I could hold off this install for a few weeks, if it means one ONT versus two, but at the same time, having two would allow redundancy in the event of failure. I assume it would be easy to reprovision services to another ONT, and mean less time waiting for technicians. Sorry, you'll need to work with RSPs on their timings for having what are known as "Secondary Services" available. No doubt some RSPs wont offer secondary services, some might offer them immediately and some will be in the future. My guess is they would be it months away, rather than weeks. Dont assume that the re-provisioning is easy - it's not. It is my understanding that moving a 'primary' service on one ONT to be a secondary on another ONT, even within the same premises, will not be possible. I'm pretty sure the pricing and details for secondary services is publicly available, try the Chorus website, or start talking with your RSP(s) of choice. Now you are just making stuff up :P Just like all installs, we don't currently charge anything. this adds the context i was looking for! Just had my install moved from October 30th to November 3rd, apparently because I requested the ISP change the speed of my connection which hasn't been connected yet. That ordering and provisioning system does appear to be in need of some work (which has hopefully already been done). Inconsequential configuration changes shouldn't change installation dates for people already in the queue, especially speed changes, which Chorus seems to be able to do very quickly. So some time has past since the original question was asked, but are you now able to have multiple ISPs on one ONT? The reason I ask is that enable.net.nz say that they can do it. So does that mean chorus can do the same? jimbob79: So some time has past since the original question was asked, but are you now able to have multiple ISPs on one ONT? The reason I ask is that enable.net.nz say that they can do it. So does that mean chorus can do the same? 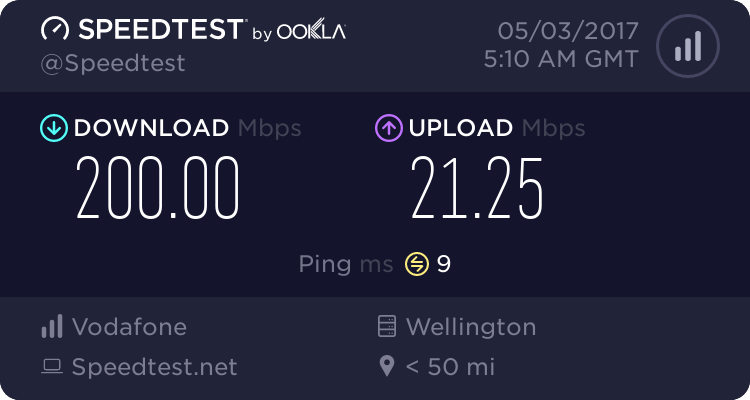 An ISP is attempting to provision service to the 2nd port of my Chorus ONT here in Wellington. Will be interesting to see how that goes as they're confident that it can be done now. Everywhere Spark Digital has requested a second UFB connection so far, Chorus have installed a second ONT (this happens many times per week in the corporate space), so as far as I am aware Chorus cannot or do not yet connect a secondary UFB service via the second port of the primary ONT. Interesting. Is the same fibre used and split with a Prism or two separate fibres?